Advent is a season of expectation and anticipation. Signs of Christmas are all around us, but it hasn’t arrived. We’re still waiting to join together in celebrating the coming of the promised one, the one born in Bethlehem who will inaugurate the realm of God. During this Advent season I’ve chosen to base my sermons and reflections on the readings from the Book of Isaiah. The first word came from Isaiah 2, which spoke of a day of hope, when the nations would cease to learn war. While I didn’t preach on the text, last Sunday we heard the word from Isaiah 11, which speaks of the wolf and the lamb lying together in peace. Now, we’ve heard a word about the return of God’s people to Zion. Everyone who walks along the Lord’s Highway is singing. While I don’t know the titles of these songs, I do know that music has a way of lifting our spirits. That’s especially true when they are rousing marching songs. Yes, I think that’s what the people sang as they traveled back from Babylon to Zion on the Lord’s highway. The reading from Isaiah 35 offers us some of the most beautiful poetry in Scripture. While I am more prosaic than poetic in my own writings, even I can tell that this song of praise is magnificent. The imagery in this hymn is vibrant. At its heart is a picture of the desert transformed. Deserts are normally dry and lifeless, at least on the surface. Years ago, when we were moving to Kansas, we drove across the Mojave Desert. All we could see on either side of the highway was dry earth, a few cacti, lots of tumbleweeds, and an unnerving amount of abandoned ice chests. Brett was only five, but he got a bit worried about whether we would make it across that desert. When it rains, however, that lifeless desert can spring to life. 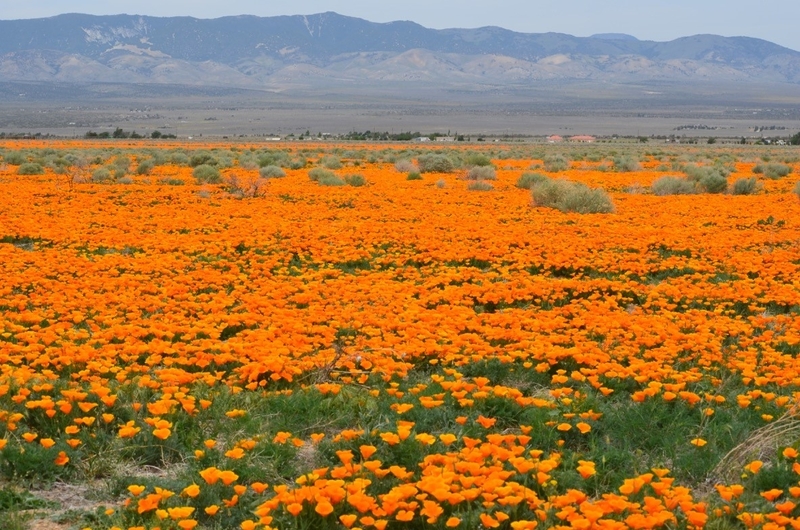 Flowers emerge and cover the land with a multitude of colors. As we reflect on this psalm, we receive an invitation to set our imaginations free so we can envision the glory and majesty of God that is reflected in Creation. We can put ourselves in the place of the exiles returning to Zion, crossing a desert that has been gloriously transformed. It is for them a moment of joy. But remember the prophet speaks in the future tense. This journey hasn’t yet occurred. For some of us gathered here this morning, it might be difficult to imagine a life filled with joy. We know that the Christmas season is supposed to be joyful, but sometimes life is so full of challenges that even singing “Joy to the World” doesn’t seem to make a difference. It’s quite possible that the people who heard this word from Isaiah were in no mood to be joyful either. Yet, we have this invitation, calling on us to join with the people of God in singing songs of redemption. This song most likely emerged out of the Babylonian Exile. It came to a people who had lost everything after the Babylonian army swept in and destroyed the city of Jerusalem and their Temple. The Babylonians also swept up many of the citizens and carted them off to Babylon. It is to this people that the prophet we call Second Isaiah offered a vision of future redemption. The prophet promised them that God would make a highway so that they could return to Zion. When they returned home to Zion, the desert would bloom. Weak hands would be strengthened; feeble knees would be made firm. Eyes would be opened, ears unstopped, tongues unleashed, and those who couldn’t walk would walk once again. These are all promises that the gospels lift up in the story of Jesus. He is, according to the Gospels, the one who redeems God’s people. So, be strong the prophet declares. Don’t be afraid. Instead, be joyful. This invitation to join in singing songs of joy and gladness may seem out of place in the time of the exile. It might seem out of place in our time as well. Our nation is divided. There is a lot of uncertainty about the future, despite what the stock market suggests. Many of us are concerned about cabinet choices and how they will affect the environment, immigration, and jobs. Our Muslim, Latino, African American, and LGBTQ neighbors are concerned. The same is true for those who may lose their health care. The rhetoric of recent months has created deep tension among the American people. So where do we find joy? Remember this is a word of expectation. It invites us to be on the alert for signs of redemption. It is an invitation to look for opportunities to experience joy and gladness. This invitation to rejoice with God, also comes with a reminder that when God comes to deliver the people, God will come with vengeance. In the chapter that precedes this beautiful song, we hear the prophet speak of God’s judgment on Edom, Judah’s neighbor and at times its oppressor. It’s likely that the Edom spoken of in Isaiah 34 is a stand-in for other oppressors, including superpowers like Babylon. The prophet promises that this oppressor will be dealt with. In his commentary on this passage, Noel Erskine reminds us that “God always comes in judgment and salvation. Whatever separates God’s creation and God’s people from God’s purpose must come under divine judgment. Obstacles will be removed and the covenant restored as people and the created order enter the sphere of salvation” [Feasting on the Word, p. 52.] Perhaps another way of saying it, is to say that love and justice belong together. for angels herald its dawning. as morning light so quiet and free, so warm and gentle and caring. the weak be raised above the strong, and weapons be broken asunder. So let us sing for joy, letting the grace and love of God wash over us and redeem us so that we might return to Zion with joy and gladness. I want to close with a few words from a little book written by a childhood friend, with whom I was recently reconnected on Facebook. It’s a children’s book, but it has a message that speaks to adults as well. It’s the story of a little kitten who ends up in a box that will carry a new vacuum hose across the country, from New Milford, Connecticut to Merrill, Oregon. Little Twin is the name of the kitten. Fortunately Little Twin is discovered when the box arrives in Merrill, and is returned home safe and sound. The book is called Traveling Home to Happiness. The message of the book emerged out of a time of deep darkness, as Julie struggled with the tragic death of her husband. I thought that these words that emerged from Julie’s heart might stir in us a sense of everlasting joy.